Welcome to our "Useful Links" page! You will find links to some of the Central Regions best web sites as well as a few boating related ones from New Zealand and around the World. While we are happy to link with other sites around our region we reserve our rights to accept a link or not , at our sole discretion. 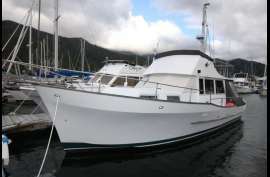 Bring a Boat from Australia to New Zealand or shipping one from New Zealand to Australia? Allports Electrical - For all your marine electrical repairs! Call Matt Michel on 027 352 4629 - From total rewires to lessons on how to use all your electronics - call Matt! In our retail shop we have the best product selection and excellent product support from a very experienced team. If there is a specific product you're looking for, or you have any custom workshop requirements, please ask us and we will do our best to find a solution for you. Our full workshop service includes yacht rigging, mast and spars, wire and rope splicing, custom fittings, architectural rigging systems, balustrading and flag poles. If you're into Yachts, Yacht Racing, Yachts Anything! This is a site you must visit. Beware, it will quickly become an addiction! Flying between Wellington and Picton and Wellington and Nelson every day, their courtesy coach will drop you off at our office! With our purpose built trailer we guarantee your pride and joy a safe and secure ride to it's destination. We have years of experience in looking after customers needs and our aim is to carry on the great service of previous owner, Peter (PJ) Jacob, who is well known for hauling boats for over 30 years. We are also excited about our new fully submersible hydraulic trailer. We will have details + images of the new trailer when it is launched in May. Watch this space!